Have you ever noticed dark drips or spots where you normally park your Nissan? Your heart immediately flutters in concern when you see oil spots on your driveway, garage, or in your parking stall. Is it a major problem, and is your car still safe to drive? No matter how well you take care of your vehicle, there’s always a chance an oil leak can develop. If you discover an oil leak on your Nissan vehicle, we’re ready to help. 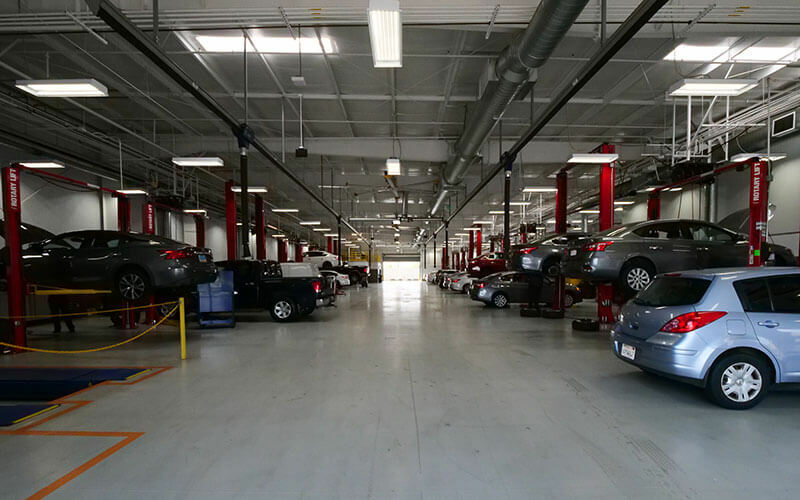 At Downey Nissan, professional technicians will diagnose and correct your oil leak, restoring your confidence in your car. Oil seals, O-rings, and gaskets are designed to keep oils and fluids contained on the inside. Unfortunately, there’s no such thing as a perfect seal. Whether you drive a Maxima equipped with a V6, a fuel-saving four-cylinder Versa, a powerful Titan with the Endurance V8, or any other model, oil leaks can develop. It’s more than just the engine oil as well. It could be a leak from the transmission, power steering, or differential that’s causing your misgivings. 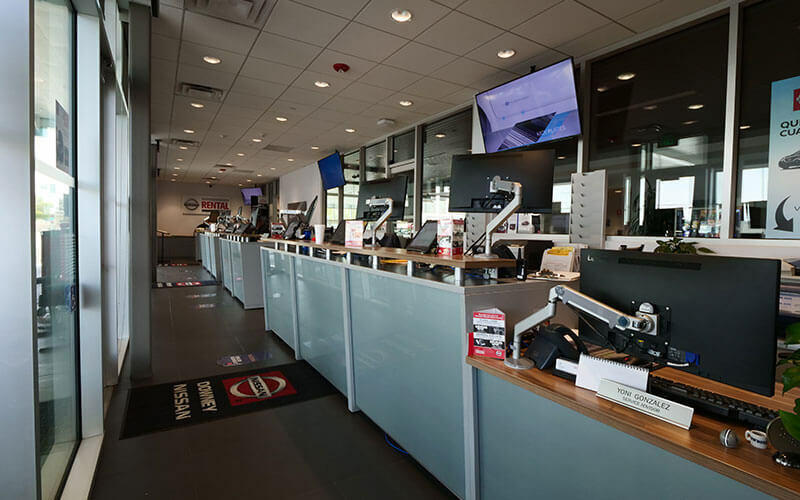 Whether your vehicle is under Nissan’s fantastic powertrain warranty or not, an oil leak should be identified and fixed for your vehicle’s health and your peace of mind. 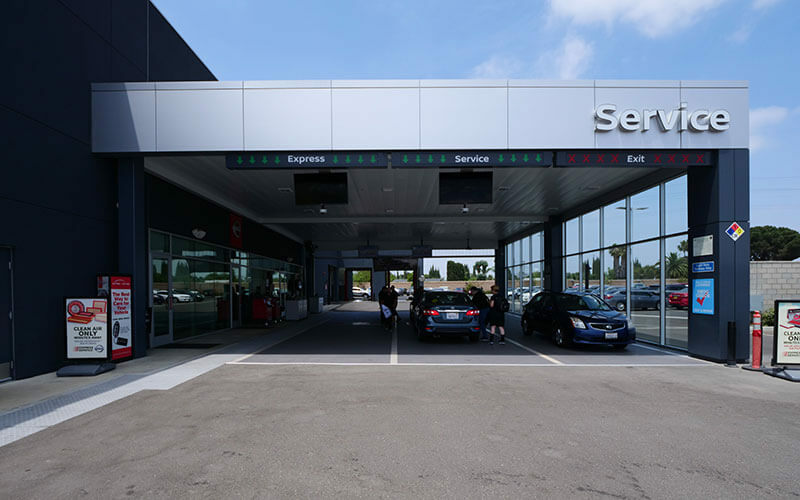 At Downey Nissan, we’re more than just your Express Service center, serving Lynwood, Cerritos, Huntington Park, and Downey, CA. We’ll take care of the tough tasks too, like finding and correcting the oil leak on your Nissan. 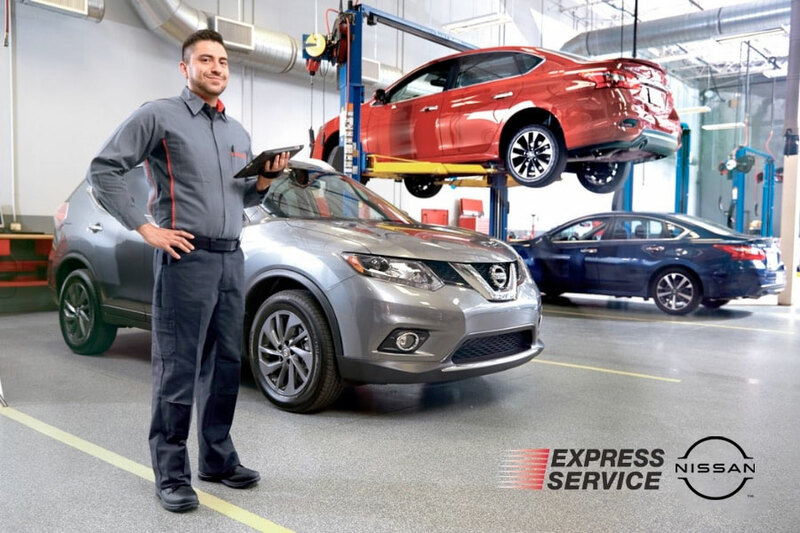 Certified Nissan technicians perform a thorough inspection on your vehicle to discover the root cause of your oil leak. Whether it’s a minor irritating drip or a complex repair, our repair experts will get the job done right. For all oil leaks, genuine Nissan parts are used, backed by Nissan’s impressive warranty, giving you peace of mind that your vehicle is safe to drive once again. 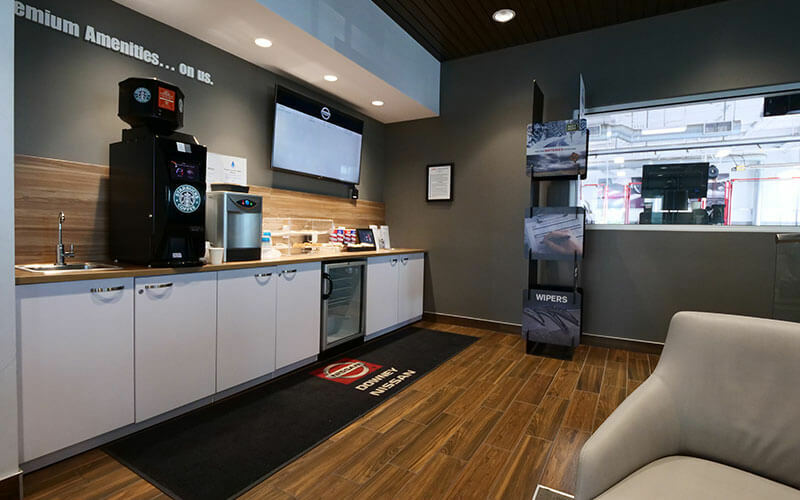 Our customer lounge is comfortable and stocked with Starbucks coffee, complimentary snacks, and hot tea for your enjoyment. Or, let our professional shuttle drivers take you home or to work instead. 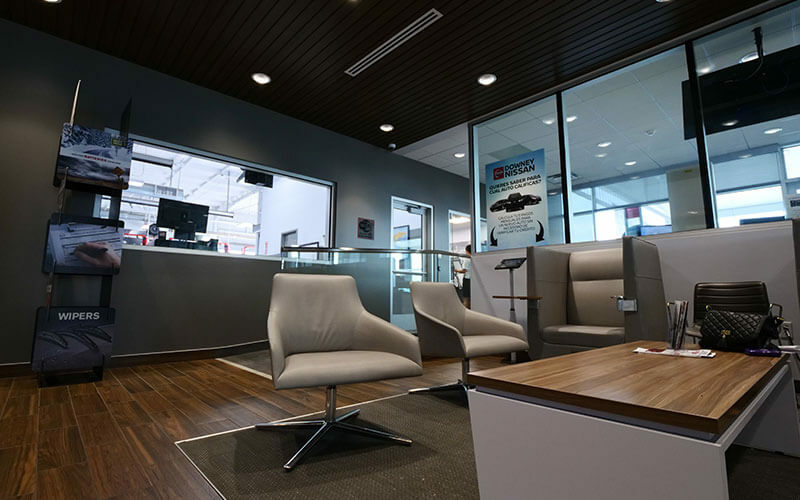 Every step of the way, we’ll keep you informed on your vehicle’s progress. 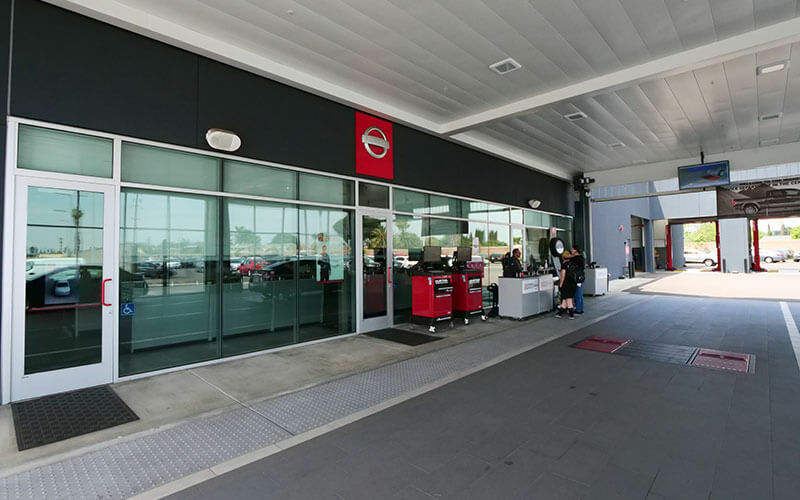 Serving Downey, CA and the surrounding area, Downey Nissan is proud to provide the best Nissan repairs including oil leak diagnosis and repairs for all our LA-area customers.